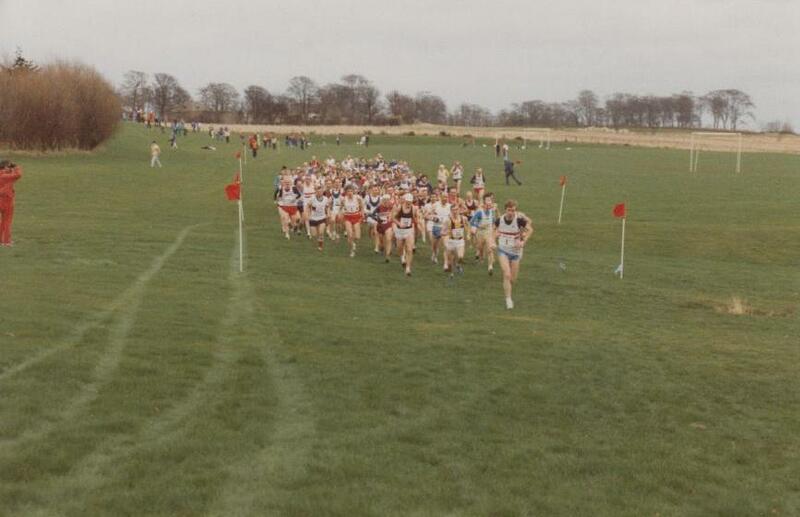 These pictures from the 1989 Scottish Vets Championships at Balgownie Playing Fields in Aberdeen were taken by Ben Bickerton, Simon Axon and Ewen Rennie. 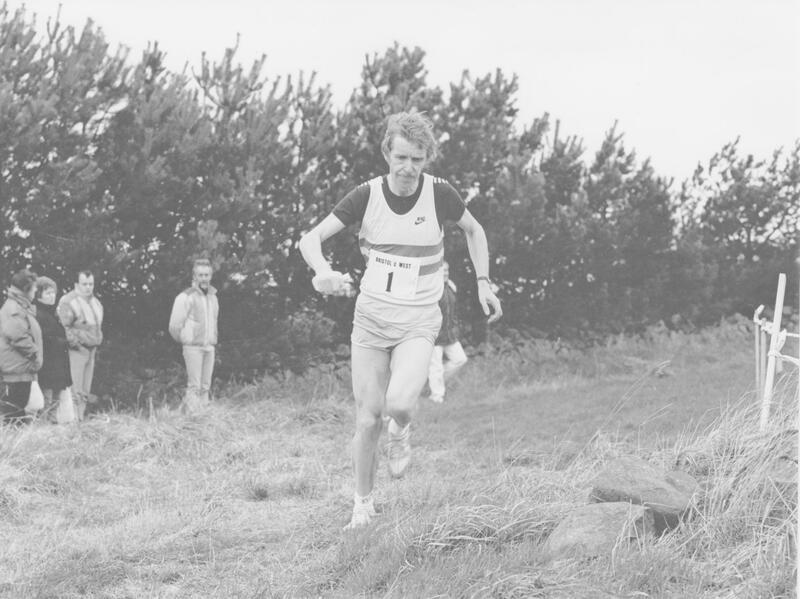 They show Colin Youngson retaining his championship title from some very good runners. 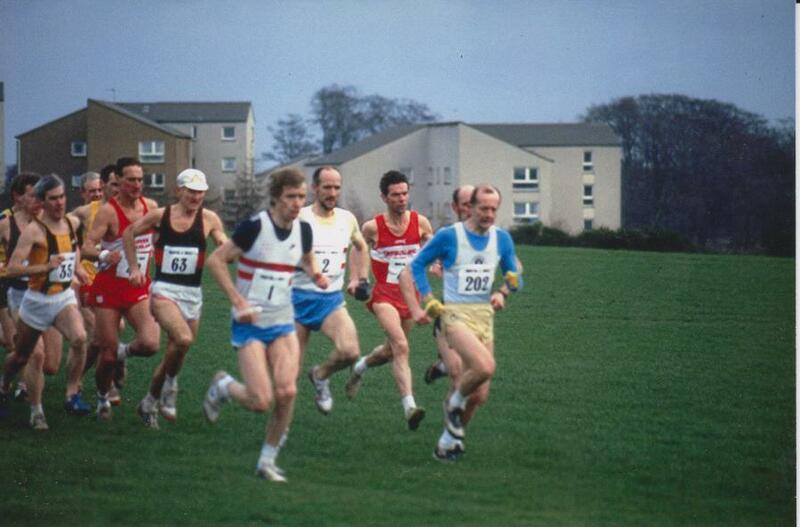 I can see Charlie McDougall, Allan Adams, Bob Anderson and the winner Colin Youngson for a start. Then you might be able to spot Archie Duncan, Willie Day, Peter Marshall and Graham Milne. 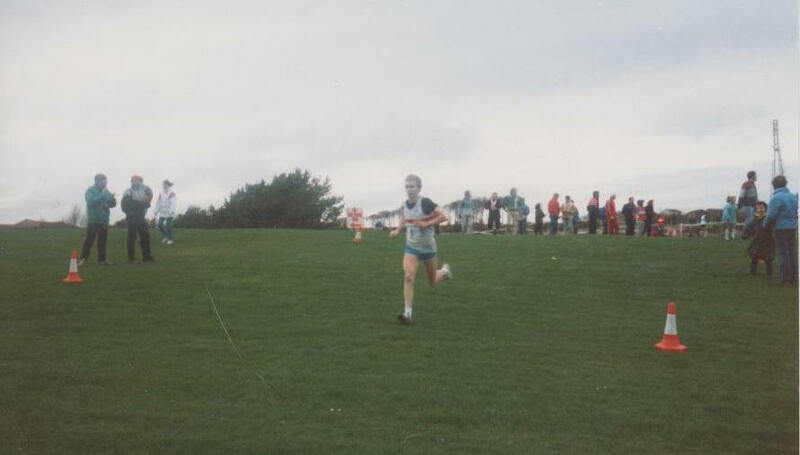 Aberdeen won the team race that day. (In words at the bottom of the page. 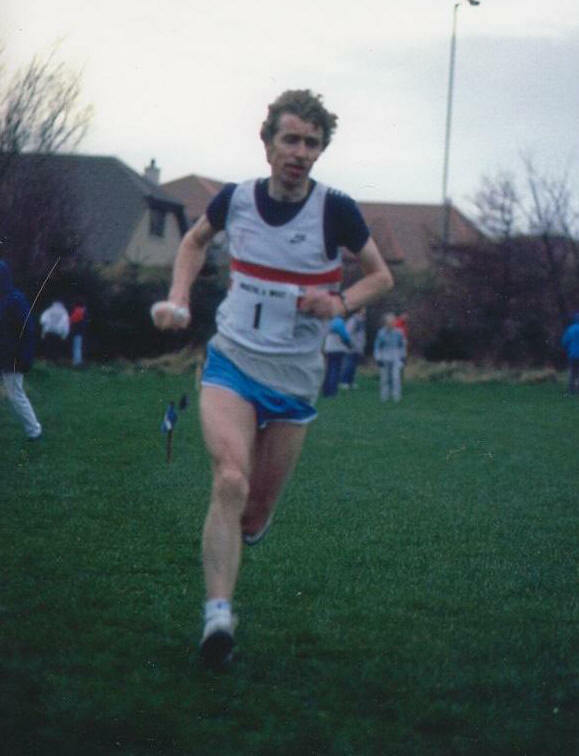 Colin Youngson of Aberdeen AAC retained his title in the Scottish National Veteran Cross-Country Championship s at Balgownie, Aberdeen yesterday. 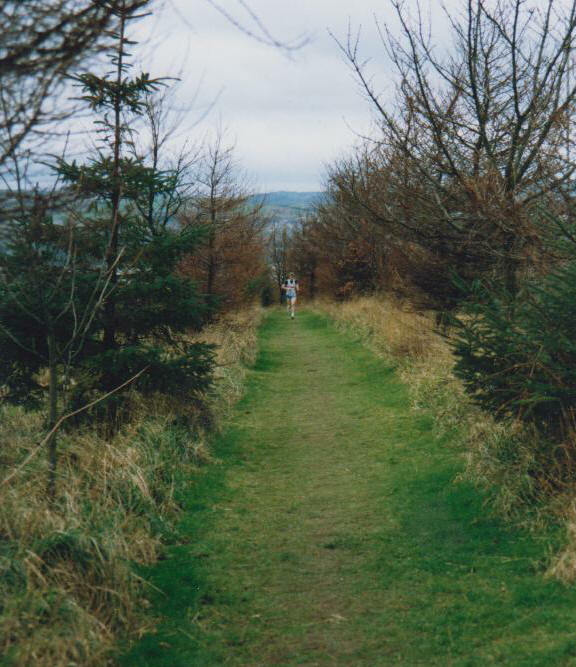 Youngson had little difficulty in covering the 10,000 metre trail to win in 31:36 over 120 yards in front of Charlie McDougall (Calderglen Harriers) who finished 22 seconds behind. 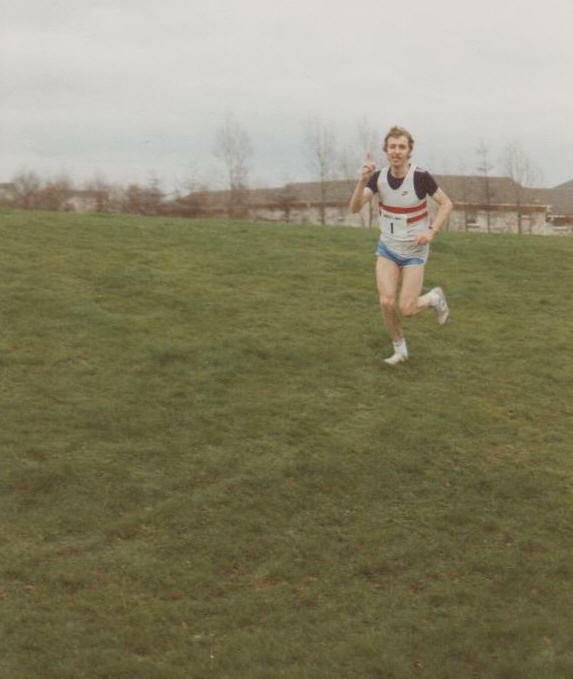 Peter Marshall (Haddington) took third place in 32:29.